It goes without saying that race cars are a lot of fun. Anyone who enjoys cars and driving is bound to love race cars; they accelerate and brake faster than normal cars, handle far better, and are driven on places without oncoming traffic, speed limits, and stop lights. In short, if driving is a hobby of yours, then driving a race car is about as fun as it gets. However, if not driven correctly, race cars are even more dangerous than they are fun. The combination of power and adrenaline can be lethal, so it is imperative that you never drive a sports car unless you are properly prepared and equipped. Step 1: Take a racing class. This is the most important step to complete before driving a race car. Taking a racing class will give you the skills and education necessary to not only drive a race car safely, but to drive it correctly, and with skill. The cost of a racing class is only a fraction of the cost of owning a race car, so it’s an investment that everyone should make before driving a race car. Not only does a racing class make you drive better but it will also make driving a race car more enjoyable and safe for you. Tip: If you plan to let anyone else drive your race car, you should have them take the racing class with you, so that you are on the same page and skill level. Step 2: Observe the race car’s specifications and abilities. 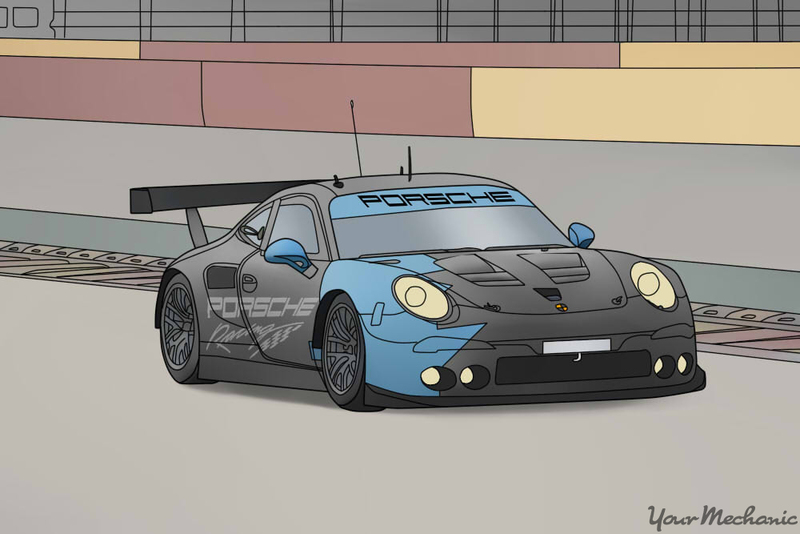 Every race car is different: it may vary in weight, engine size, and handling capabilities, among many other factors. Before driving a race car, you should take note of all of the race car’s specifications and abilities. Most importantly, you should know what horsepower and torque your car possesses, how much the car weighs (as well as the weight ratio), what kind of tires the car has, and how tight its grip and suspension are. The different aspects of the race car all dramatically impact how the vehicle drives, and are therefore things you should be aware of before getting behind the wheel. Tip: It’s a great idea to find other people who have driven the same race car that you are planning to drive. They can give you tips for the things to look out for and warn you about any possible concerns or problems that you may face. Step 3: Purchase all the necessary safety equipment. 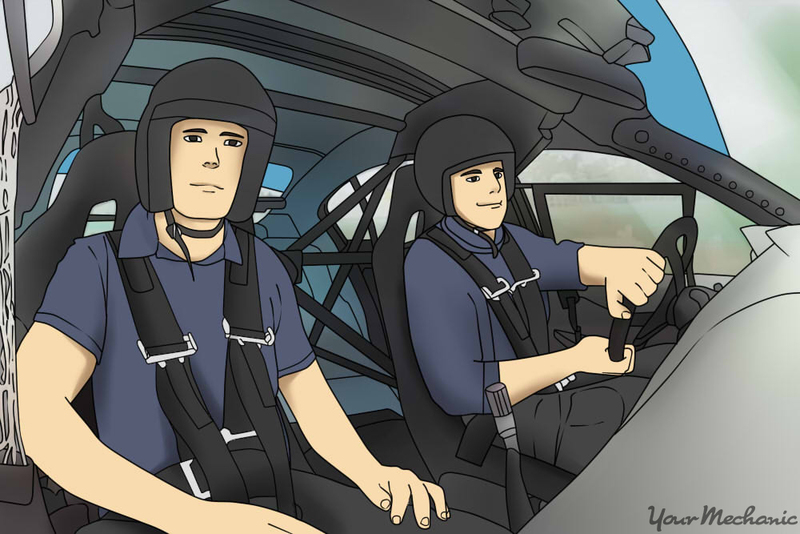 You should never drive a race car without proper safety equipment. 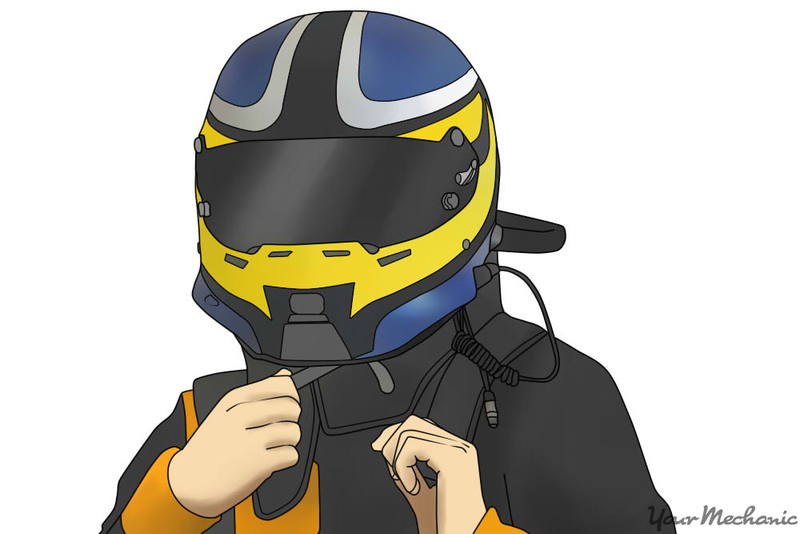 That includes (but is not limited to), a proper racing helmet, and fireproof suit, and racing shoes and gloves. Warning: If you do not have the right safety equipment, do not drive a race car. Step 1: Familiarize yourself with the car. It’s not a big deal if you find that you don’t know where the headlight switch is while you’re driving a normal car. You can easily feel around the steering wheel until you find it, or pull over to take a look. The same is not true of a race car. 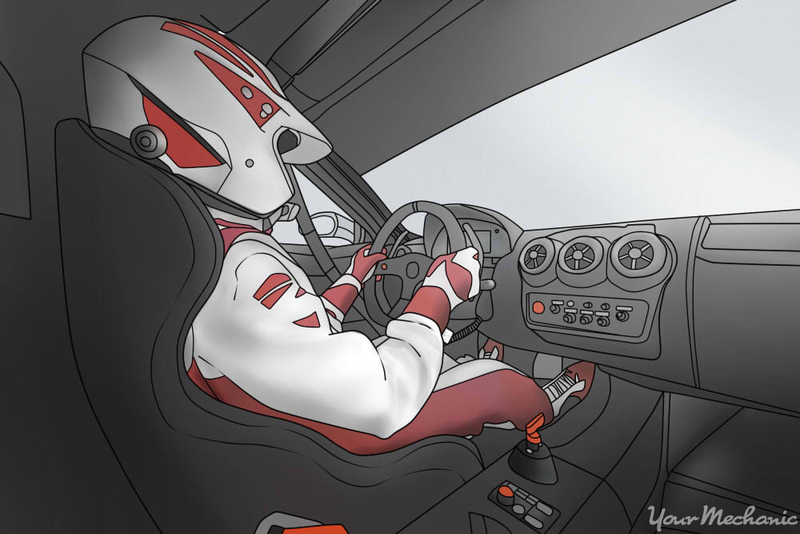 Once you start driving your race car, you will be driving at high speeds and there will be no time to search for a particular button or to get to learn how to use the equipment safely. While a race car is more bare bones than a street legal car, you still need to make sure that you know where everything is before you fire up the engine. Note: This is not limited to driving features. If your car has safety features such as a fire extinguisher, you should familiarize yourself with its exact location, and how to use it. Step 2: Go for a test drive. Before pushing your race car to the limits, take it for a test drive by driving around the race track a few times. This will help you get a feel for the car, so that you understand its capabilities and limitations. On straight stretches, hit the throttle hard, and then hit the brakes hard, so that you learn how quickly the car can accelerate and brake. Take turns slowly, but turn the wheel sharply, so you can find out if the car understeers or oversteers, or if it loses grip and traction at a certain point on the course. Note: Completely familiarize yourself with the feel of the race car at a normal speed before you start racing. Step 3: Stay in your comfort zone. Race cars will get your heart pumping and fill you with adrenaline, but that doesn’t mean you need to leave your comfort zone. You know your driving limits better than anyone, so always listen to yourself and don’t push your car beyond your own abilities. The more you practice racing, the better you’ll get, so take it slowly and don’t try to drive your race car faster than you are capable of doing. Warning: As fun as it may look, never purposefully drift your race car unless you have been taught how to do so safely and properly. Step 4: Perform regular maintenance of your race car. Make sure to keep your race car well maintained. Since your race car gets driven fast and hard, it is especially important to keep it in good shape. Taking a turn at 120 mph is the worst time to realize that a part of your car is not functioning properly. If you are buying a used race car, get a certified mechanic, such as one from YourMechanic, to perform a pre-purchase inspection and a safety inspection before you finalize the purchase. Always depend on a reputable mechanic to schedule and perform regular maintenance of your race car. If you follow all of these steps, you’ll be able to drive your race car safely and skillfully, living up to all your racing dreams. Q: How do I use the panic alarm? Q: Can I transport passengers in the cargo area?